Medical Cannabis Savoy - How Does CBD Work? 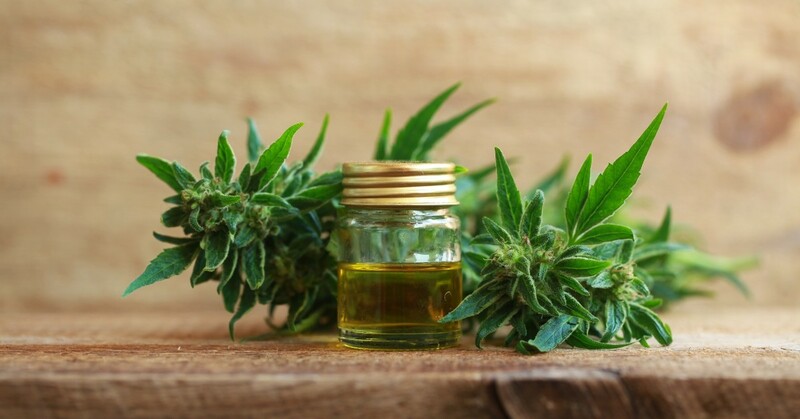 CBD oil is one of the most popular natural health remedies today, with more and more people discovering the benefits of CBD oil for treating a wide range of health conditions. However, not many people actually know what CBD is or how it works in the body to provide natural pain and symptom relief. At Medical Cannabis Outreach, our cannabis-friendly physicians and clinicians hold educational seminars and wellness clinics to help people learn about CBD oil. Attend one of our upcoming seminars or visit us in Savoy, Chicago, Pekin, Harrisburg, Shelbyville, or Wood River to find out how CBD oil can benefit you. Until then, here is some basic information about CBD oil and how it works! Cannabidiol is a cannabinoid naturally found in both the marijuana plant and the hemp plant. When extracted and isolated from other cannabinoids, such as THC (the psychoactive compound that produces a “high”), cannabidiol can be concentrated into various forms for consumption, including CBD tinctures, edibles, topicals, and vapes. But what’s really interesting about CBD is that it doesn’t work the same way Western medications do — rather than overruling your body’s natural functions, it works with your endocannabinoid system to help it make better use of your own, naturally occurring cannabinoids. All mammals have what is called an endocannabinoid system, which plays a vital role in regulating movement, pain reception, memory, emotions, mood, and immune system function, among many other critical inner workings of daily life. The endocannabinoid system functions with the help of two natural cannabinoid receptor types in the body: CB1 and CB2. Each of these receptors are responsible for facilitating different functions, which we’ll outline below. CB1 receptors are expressed in both the peripheral nervous system and central nervous system, making them a critical component for healthy brain function. Many of the mental experiences we have on a daily basis are thanks in part to CB1 receptors in the endocannabinoid system, including both positive and negative emotions, our mood, physical movements, and our perception of pain. When there is a deficiency of these receptors (most of us have a level of endocannabinoid deficiency), the body becomes imbalanced and symptoms can arise. Like CB1 receptors, the CB2 receptor type plays an essential role in how we live our daily lives, but this time, we’re talking about immune system function. CB2 receptors live in the body’s immune system and help it function optimally, keeping away sickness, toxins, and inflammation. Having a healthy endocannabinoid system with plenty of CB2 receptors is critical for staying healthy, even if you have a well-balanced diet and exercise regularly. Just think of it like building blocks — when pieces of the foundation are missing, the structure falls apart, causing a weakened immune system and inflammation as your body tries to defend itself. While it is disheartening to learn that most adults have some kind of endocannabinoid deficiency due to the nature of our society (i.e. stress, processed food, pollution, etc. ), this isn’t all bad news. People are finally catching on to a scientific discovery that was made years ago: full-spectrum CBD oil can help the endocannabinoid system repair itself. So, what do we mean when we say “full-spectrum” CBD oil? We’re talking about pure CBD tinctures that have a high level of bioavailability. When full-spectrum CBD oil is administered sublingually (under the tongue), it enters the bloodstream and has a direct effect on the cells in the body. CBD oil is also fat-soluble, so it is stored in the body’s fat cells and metabolized, or put to work, by none other than the endocannabinoid system. It really is amazing that the body knows how to repair a broken system all on its own, with the help of a little CBD oil from your local CBD store or medical dispensary. The best part? CBD doesn’t get you high, even when administered orally. But what about CBD topicals, salves, and bath bombs? These miracle workers are used to treat localized pain. Unlike CBD tinctures, CBD topicals and salves are not dispersed throughout the body via the endocannabinoid system. Rather, they provide near immediate relief for localized areas, such as arthritic joints and strained muscles. Whereas CBD tinctures are primarily used to treat nervous system diseases and disorders, such as epilepsy, multiple sclerosis, and even anxiety, CBD topicals can be used to treat symptoms you can pinpoint on your body. If you are suffering from a torn muscle or suffer from joint pain, CBD topicals and salves have incredible potential to ease your symptoms. In fact, many athletes and people who have had surgery have found CBD topicals to be of great benefit to them during recovery. The downside to CBD oil is that it can be expensive, especially if you don’t have a medical card. In the state of Illinois, patients who suffer from severe or debilitating health conditions qualify for a medical marijuana card, which allows them to gain safe and legal access to natural treatment via CBD oil and medical marijuana. Plus, the CBD products from local CBD shops and dispensaries are generally far better than the stuff you get online (which may not even contain CBD, as CBD products are not federally regulated), and they cost far less. If you are interested in beginning treatment with CBD oil or medical marijuana, schedule an appointment at Medical Cannabis Outreach to be evaluated and approved for a medical card in Illinois.